Kroger is definitely the store to hit up this week to stock up on some goodies! Cohen has recently become obsessed with Pringles, so I'm off to stock up on a snack that I know he'll actually eat. But don't miss out on the other deals that your store may be having this week! --Betty Crocker Mac n Cheese-- $.49 -- Look for Buy 2 Get 1 Free peelies on some boxes! --Rotel Diced Tomatoes-- $.49. 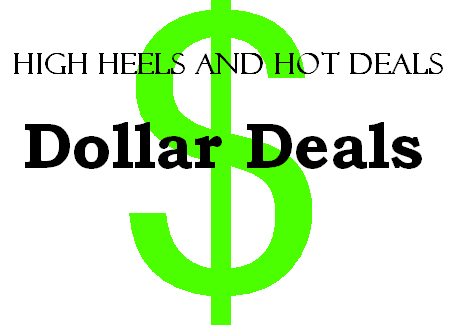 Use the $.50/2 from SS, doubles to $1.00. Final price: free! --Starkist tuna pouches - $0.99. Use $0.55/2 (SS 1/6). Final Price: $0.72 each when you buy 2. --Chef Boyardee pasta - $1.00. Use $0.50/4 (SS 1/6) which doubles to $1. Final Price: $0.75 each when you buy 4. --Pringles - 3/$4. Use $1/3 mPerk. Final Price: $1 each when you buy 3. --McCormick seasonings - 4/$2. Use $1/8 mPerk. Final Price: $0.38 each when you buy 8. --Bird's Eye Steamfresh veggies - 3/$4. Use $0.50 off (SS 1/20) which doubles to $1. Final Price: $0.33 -- stock up! --Select Crest toothpaste - 2/$5 and earn $2 ECB on 2. Use two $0.75 off (Feb PG). Final Price: $0.75 each after ECB when you buy 2 -- HOT price! --Rapid Sleep PM -$1.99 and earn $1.99 ECB. Final Price: FREE after ECB -- stock up! --Chapstick - 2/$3. Use $1/2 (RP 1/27). Final Price: $1 each when you buy 2. --Halls cough drops - 2/$3. Use $1/2 (SS 1/6 or 2/3). Final Price: $1 each when you buy 2. --Flexsure Restorative Joint Health - $20. Submit $20 mail in rebate. Final Price: FREE after rebate. --Jamieson Joint Care - $20. Submit $20 mail in rebate. Final Price: FREE after mail in rebate. --Azo Cranberry -$9.99 and earn $9.99 RR. Final Price: FREE after RR. --Colgate dental care - $2.99 and earn $2 RR. Use $0.50 off (SS 2/3). Final Price: $0.49 after RR -- stock up! --Halls cough drops - 2/$3. Use $1/2 (SS 2/3). Final Price: $1 each when you buy 2. --Sheets Energy Strips - $3.99 and earn $3.99 RR. Final Price: FREE after RR. --Thermacare pain relief - $2.99 and earn $2.99 RR. Final Price: FREE after RR. --Culturelle Probiotic Digestive Health - $10 and earn $10 RR. Final Price: FREE after RR. great deals, thanks for the heads up. thanks for sharing - these are some great savings! Oh man, too bad I don't have a Kroger near me, those are awesome deals!